• There were many major themes of Indian Art, some of which emerged as early as the Harappen Period (2500 BC). • The conquest of Alexandra the Great (320's BC) also had a very important impact on the India artistic ways. There was an attraction of Greek sculptors, such as Greek-style carvings. • Around 500 BC, Buddashim took over much of the population of India and because of this it brought a new artistic theme as well. 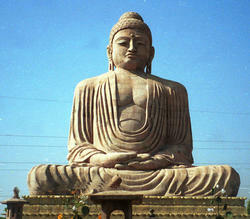 Legends of the Budda inspired much of India's art, in particularly towards sculptures and literature. • During the Gupta Period (500 AD) the great cave temples of Ajanta and Ellora were carved and because of this, Buddha Statues became popular. • The housing in the prosperous villages were huts made out of mud and straw. 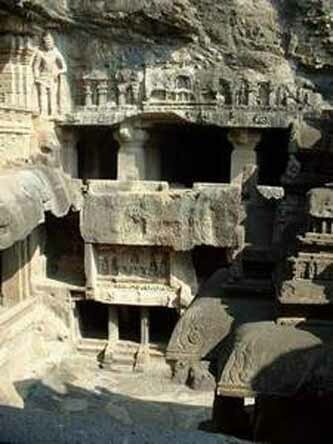 •The Great cave Temples of Ajanta and Ellora. 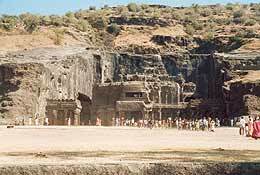 Ajanta is one of the most popular and aesthetically acclaimed heritages of India. • Iron Pillar at Mehrauli. The pillar represents the victories of the kind Candragupta II. •One of the reasons why the Gupta Rulers were memorable was because they Flourished the art. This had named golden age on India. • Music, dance and drama were cherished in both the cities and the villages. • The sculptures were distinctive with stone and bronze. • Paintings, most of which did not survive, were rich with colours and movements. • The Historical Significance of Ancient Indian art is that it is the only aspect of the civilization that gives us knowledge of India, some of which includes the statues, carvings and the relief's. 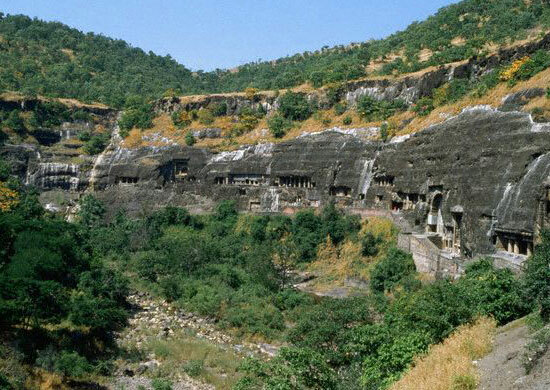 "Ajanta Caves." UNESCO World Heritage Centre. 16 Feb. 2007. 12 Feb. 2007 <http://whc.unesco.org/pg.cfm?cid=31&id_site=242>. "India Art - History for Kids." Kidepede - History for Kids. 10 Nov. 2006. 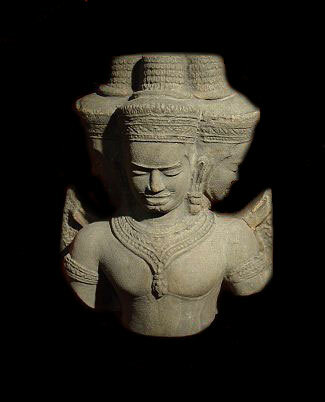 12 Feb. 2007 <http://www.historyforkids.org/learn/india/art/index.htm>. Newman, Garfield. Echos From the Past - World History to the 16th Century. Toronto: Patty Pappas, 2001. 320-321. Singh, Rajesh. "Ajanta." Ignca. 2002. 13 Feb. 2007 <http://www.ignca.nic.in/nl002801.htm>. What other Ancient Civilization had an important impact on the Ancient India architecture? What were the two cave temples names? 3. Why was the Iran Pillar at Mehrauli made? 4. 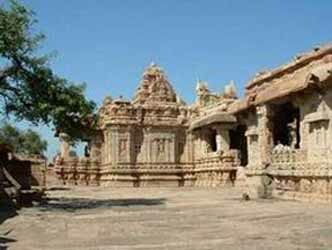 What is the historical significance of Ancient India art and architecture? 1. It's interesting to look at!!! 3. It's the most of our knowledge of India!!! 5. How were the paintings created?